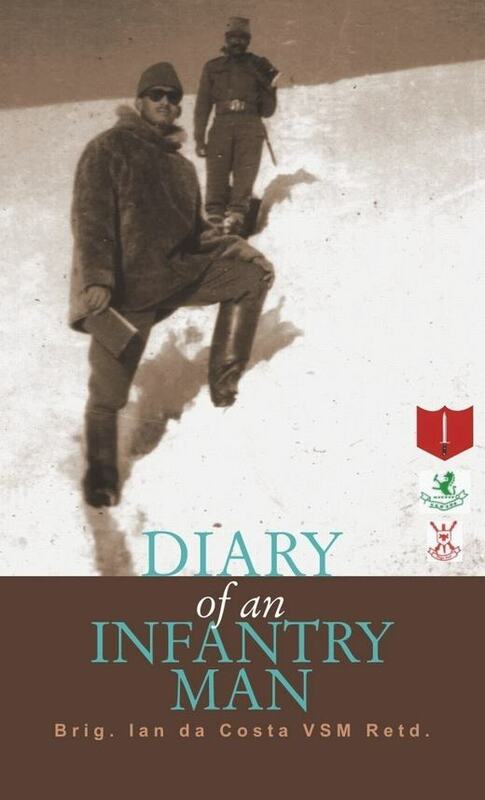 Brig (Retd) Ian da Costa, VSM pens his memoirs. From the story of the migrant Goan community in Nagpur, to his experiences in the Indian Army. This is a ring-side view of India’s changing times in the first five decades after Independence, though the eyes of a military man. Ian da Costa’s story begins in Nagpur of the 1940s. In that Central Indian city, a community of Goans worked hard and smart to build their future. Those were times of ferment and tumultuous change. We encounter the military transitioning from a colonial British-run institution to one serving Independent India. From life in the Indian Military Academy, to serving in Jammu and Kashmir in the 1960s while attached to the 14th Kumaon Regiment, Brig da Costa’s story takes us along unexpected paths to the tough forward lines of the borders over two wars, to the Poonch-Jhalas base, Surankote, Naushera, the Battle of O.P. Hill, the Hajipur Sector, Madras, the raising of the Naga Regiment, the 1971 War in Bangladesh, and more. ABOUT THE AUTHOR: Brig (Retd) Ian St John da Costa, VSM, was Commandant of the Kumaon Regimental Centre, at Ranikhet, when he retired in 1994. A senior officer of Goan origin in the Indian defence forces, Brig da Costa served in Jammu & Kashmir, Arunachal Pradesh, Nagaland, Manipur, Punjab, Rajasthan and Uttar Pradesh, and took part in the 1965 and 1971 wars. He was awarded the VSM (Vishisht Seva Medal) for counter-insurgency operations in the North East in 1987. He was also an Instructor at the Officers’ Training School in Madras, and twice at the College of Combat (now Army War College), Mhow, Madhya Pradesh. He was Brigade Major on the China border and commanded an Infantry Battalion on the Line-of-Control in Jammu & Kashmir and an Infantry Brigade in the Thar Desert, Rajasthan.